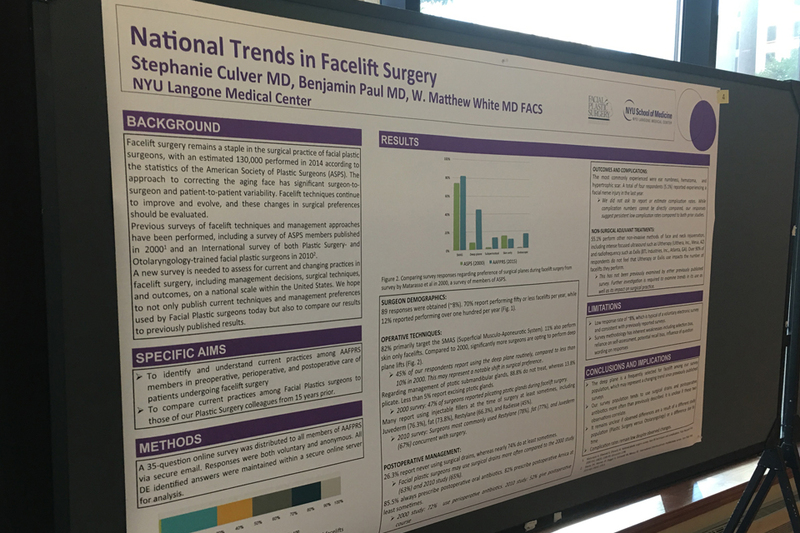 National Trends in Facelift Surgery | Benjamin Paul, M.D. Facelift surgery is a very important part of my practice and is one of the most powerful operations for facial rejuvenation. With the addition of new technology and techniques, it seemed fitting to assess the current practices among members of the American Academy of Facial Plastic and Reconstructive surgery regarding the pre-operative, peri-operative and post-operative care of patients undergoing facelift surgery on a national level. I am honored to share that the research I completed with my collegues was selected to be presented in Dallas this past month at the American Academy of Facial Plastic Surgery national meeting. The results highlight that despite new technology such as ultrasound and radiofrequency tightening, patients are selecting facelift as their go-to operation. This is likely because the results of facelift surgery are excellent and reliable. «What is a “natural” result?